I Shaved My Head for Childhood Cancer Research! A very special day. It never occurred to me that one day I will be shaving my head bald, let alone raise money for childhood cancer research in this fashion but it happened! 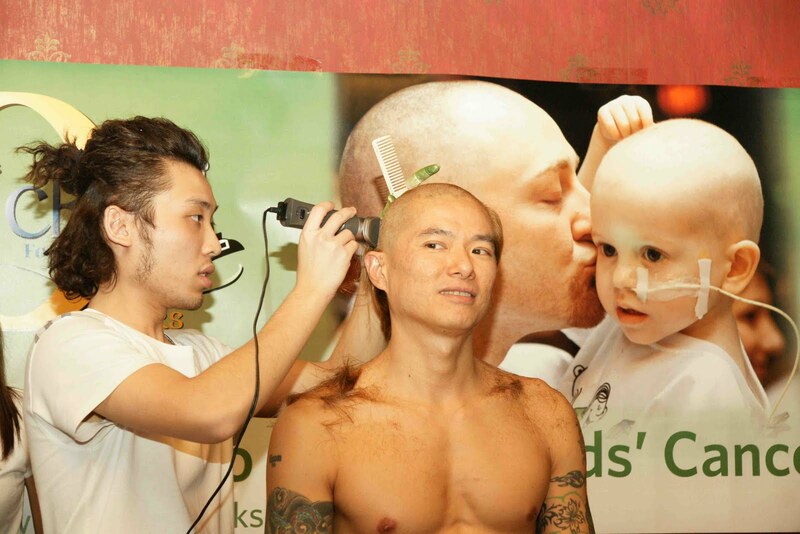 The St. Baldrick's Foundation is a volunteer-driven charity committed to funding the most promising research to find cures for childhood cancers, and NetApp organised this fund-raising event for the first time in Singapore. Yes, there were some apprehension ... will I look like Yul Brynner or an Asian gangster (I like this), will my ugly flat Chinese head be finally revealed to the world? Either way, there was no turning back as momentum built towards the event and the donations starting coming in. 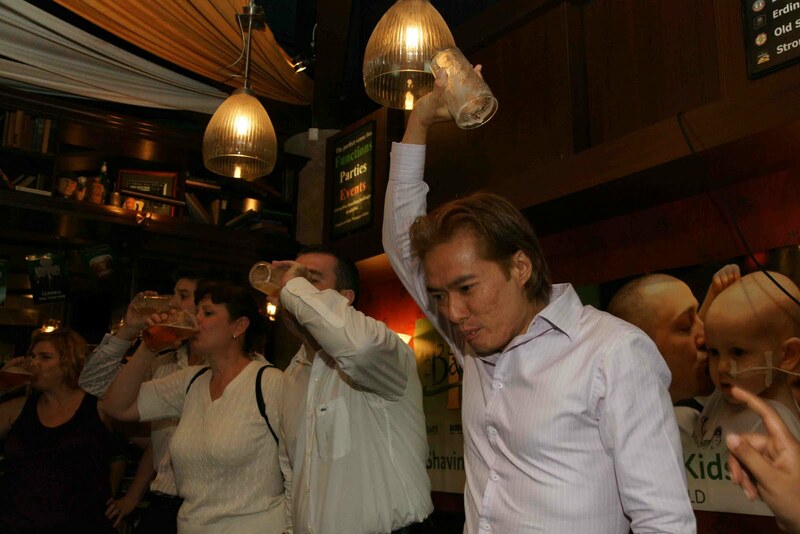 "Free beer and a chance to watch Ching Soo go bald? How could the 5-0s pass up this up? Did I mention the FREE BEER straight from the Heineken tap? And all for a good cause ... the cancer stricken children under St Baldrick's umbrella. Quentin and I ended up at this little rowdy pub called Durty Nelly's at Marina Square. 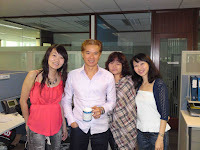 There was a large crowd present when we got there, most of them big supporters of Ching Soo. Like a wedding day, Ching Soo was working the crowd and thanking them individually for their generous support. I think that his hair spoke for itself and attracted very generous donors. Even before he got on stage, he had already raised US$19,109 ... a top-25 shavee in terms of money raised by an individual around the world. Nine shavees were to have their hairs lopped off, including one lady. As each one took the stage, the MC would ask for special cuts on the way to baldness. Targets, bald patches, mohawks and reverse-mohawks were some of the popular ones. When Ching Soo's turn came, he gamely got on stage and told the crowd that his dad was unhappy about the inauspicious number ($19,109) and wanted $23,888 to do the deed. Thus started a frantic bidding process where the generous crowd pitched in. A handsome man yelled $500 for Ching Soo to take off his shirt, which was of course too cheap; but when the sum was raised to $1,000, he took it off and threw it to the dude. Funny how the women kept very quiet during this whole process. Either their tongues were hanging out, or they were super-jealous of Sophia (Ching Soo's wife)! 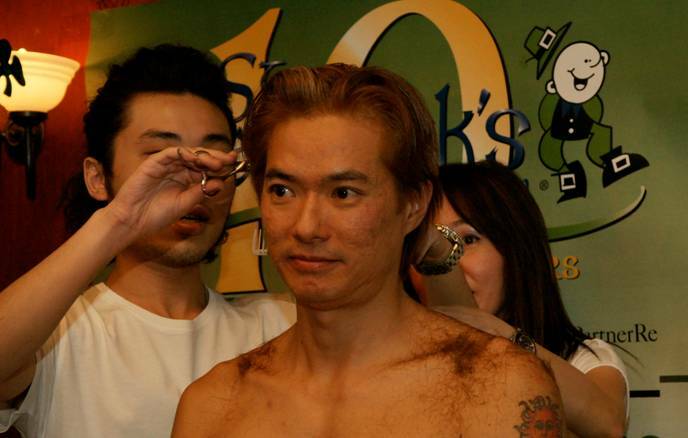 The hair stylist soon realised that Ching Soo's hair was way too long for the shaver to make any real progress. Out came his scissors and off came his blond locks. Then the shaving started again. Within five minutes, a stream-lined Ching Soo emerged; Which I am sure increased his drool factor ten-fold amongst the women! 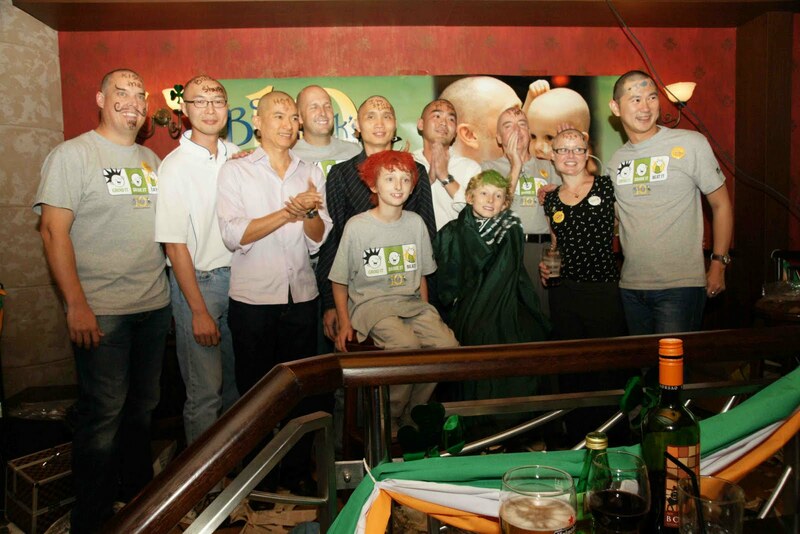 Ching Soo ended the night with US$25,915 raised for the children of St Baldrick's. Here's to Ching Soo!" A heartfelt appreciation to all the generous donors, volunteers and supporters for this worthy cause, we raised over US$80,000 from this event - THANK YOU SO MUCH! This is one of life's humbling yet enriching experience, to be able to make a little difference to some kids' lives, definitely one of the highlights for me this year. Life is a series of cycles, a journey of experiences. There is no real destination, except perhaps death. So flow, savour and be grateful. Life is now.